Coffee shop is a perfect place for working, meeting, or hangout with friends during weekend. Usually, coffee shops will use a fancy interior to attract customers. A fancy interior is a perfect place for nice photos and upload them to Instagram. 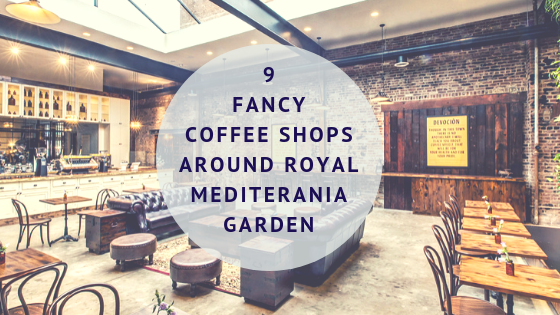 So, here are the lists of fancy coffee shops around Royal Mediterania Garden. You can even visit one coffee shops every weekend for your stock photos. This coffee shop is located in Royal Mediterania Garden Residence Complex, RL/B1/07 and the operation hours is from 9AM until 11PM. 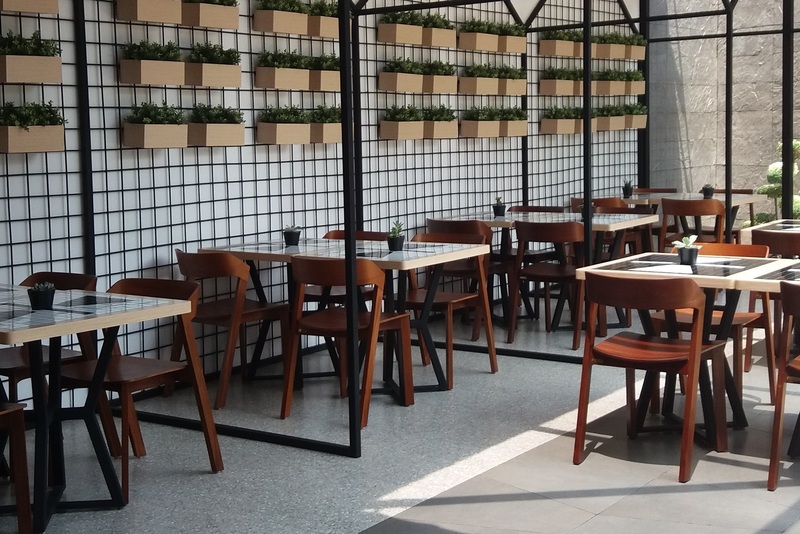 Cartenz Coffee has a nice outdoor and indoor area with minimalist design. If you are hungry, try their favourite menu, The Shrimp Fried Egg Noodle. Same as Cartenz Coffee, WaxPresso is also located inside Podomoro City area, near Royal Mediterania Garden. You can find this coffee shop at Ruko Garden Shopping Arcade B/08/AM. The operation hours is from 7AM until 11PM. WaxPreso uses classic design with many posters from 1990 era such as Terminator, The Mask, and many more for the decoration. If you want to celebrate a birthday party or do some gathering, you can reserve the second floor for your event. Green Ville is a nice culinary centre near Royal Mediterania Garden. You will find various foods and beverages here. Koultora Coffee is a fancy coffee shop with modern industrial design in Jl. Taman Ratu Indah Blok AA2 No.33, Green Ville. The operation hours is from 7AM until 9PM. This place is also popular for photoshoot or mini workshops. Make sure you come in the evening and take photo at the blue wall in the second floor with nature light from the windows. Your OOTD photos will look so awesome with the blue wall as the background! This coffee shop has a nice murals on the walls for your photo background. Kuup also provides many board games for visitors. You can enjoy your weekend with family and friends while playing some board games here. If you are hungry, you can try some snacks and coffee here. 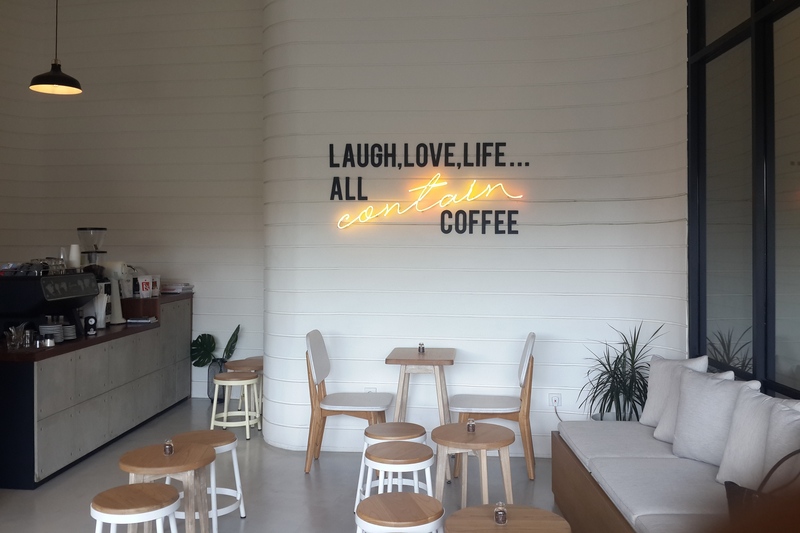 On the other hand,, this is not a right place if you are looking a coffee shop with working environemnt because of there will be so many people laugh and chatting here. Kuup Boardgame Coffe is located in Jl. Green Ville Blok BK No. 8C and the operation hours is from 10.30AM until 11PM. From the outside, maybe you will think this coffee shop is just a small coffee shop. But, if you come inside, you will be surprised with the spacious area inside. Ardent Coffee uses minimalistic design with white and grey for dominant colours. You can find outdoor area with Japanese style here so you can take indoor and outdoor photos in the same time. Ardent Coffee & Kitchen is located in Jl. Pesanggrahan No.168F, the operation hours is from 8AM until 10PM. No, there is no goat in this coffee shop. But, you will find a nice ambience with industrial style interior. Dancing Goat Coffee has three floors. The first floor is a place for coffee bar with a few tables and chairs. If you need a spacious area for business meeting or chatting with friends, just go to the second and third floor. The third floor also provides a smoking area and terrace. Jl. Puri Kencana Raya and the operation hours is from 8AM until 9PM. 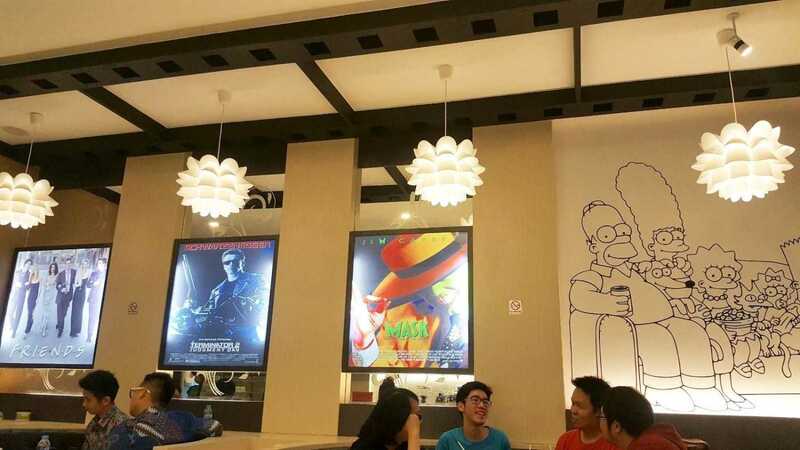 Contain Coffee is located near Taman Anggrek Mall at Jl. Arjuna Utara No.32. The operation hours is from 9AM until 9PM. The design is dominated with white colour and wooden tables, perfectly designed for your photo background. Contain Coffee is not really crowded everyday so you can enjoy this coffee shop for working area without being disturbed by chatting noise. Love salted egg? You must try salted egg croissant in Say Something Coffee! The croissant is the favourite menu here. Say Something provides coffee with high caffeine, so you must choose latte if you are not a coffee addict. Say Something Coffee also has a few nice spots with minimalist modern concept for your photo background. 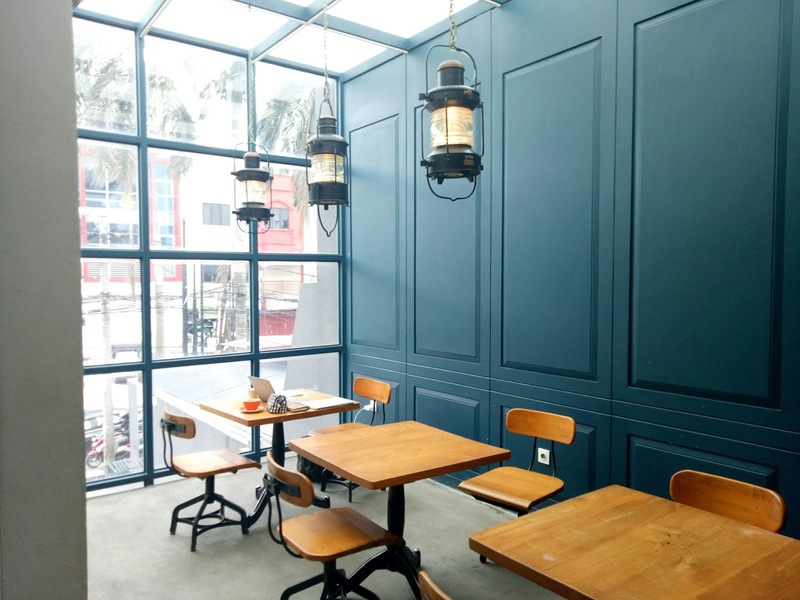 You can say if this coffee shop is a hidden gem because it located in a quiet shophouse area. This place is located at Ruko Grand Aries Niaga, Blok G1 No. 20 Jl. Taman Aries and the operation hours is from 8AM until 8PM. Trelatte Coffee & Soul is located not far away from Say Something Coffee, precisely atRukan Kencana Niaga, Jl. Taman Aries Blok D1 No. 3C, 3D, & 3U and the operation hours is from 7AM until 8PM. This place has many murals on the walls and nice ambience with high speed wifi. If you order some latte, don’t forget to ask for 3D foam. You will get a cute 3D foam on your drink without any additional price. So, which coffee shop will be your destination for this weekend?